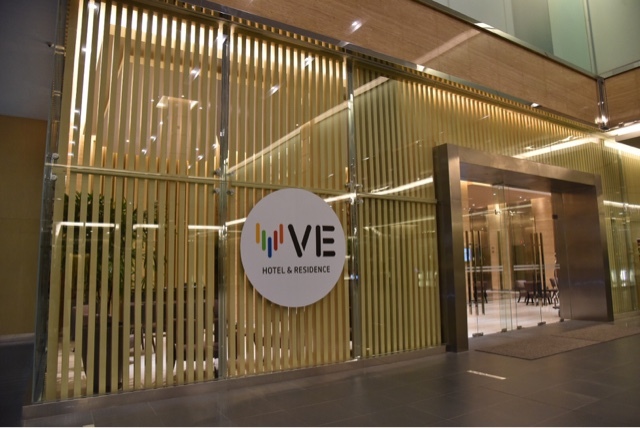 A new kid on the block, V E Hotel & Residence is a contemporary 4 star property located in Bangsar South, Kuala Lumpur's most cosmopolitan commercial and lifestyle hub. 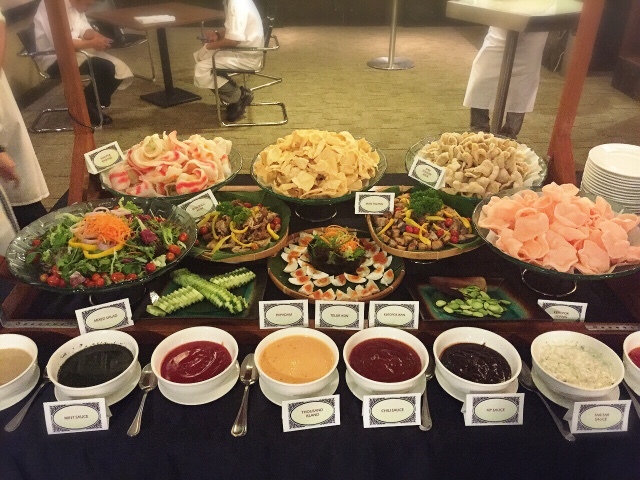 For the holy month of June, The Straits Estate, the new all-day dining restaurant in the hotel present to you "Pasar Malam themed Buka Puasa" buffet spread. From 6th June onwards, discover the beauty of Malaysia's multi-cultural and colourful food heritage of the Cinnamon Coffee House, One World Hotel. Whet your appetite with myriad of traditional flavours as the chefs of Cinnamon Coffee House unveiled their secret recipes. Hi lovelies! Face mask is one of my favourite skincare products. You can use it once or twice a week, or you can even use it daily if you like especially during the current hot and humid weather. Literally, you can never have too much mask! :p Pun intended, self pampering in the comfort of your own home is blissful indeed. Don't you think so? Well, my latest mask haul from Guardian was from this brand called Dr. Morita. 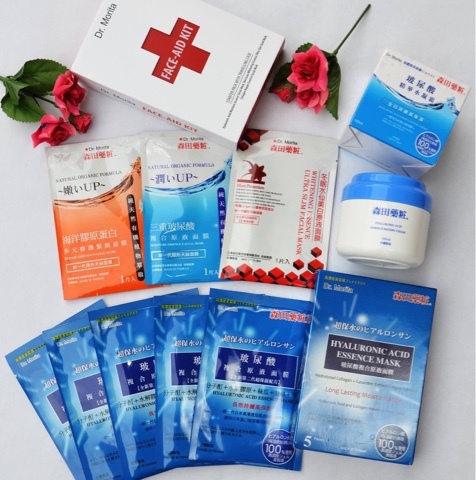 The brand originating from Taiwan is well known in the region as one of the pioneers in facial mask with medical grade natural ingredients and produced using advanced Japanese technology. Dr. Morita is also highly ranked as No 1 facial sheet mask in less than 2 years and a popular brand in Hong Kong and Taiwan. Here are my favourite picks. Hi, folks! Do you have a healthy heart? Living a hectic lifestyle, poor diet and lack of exercise are the main offenders for heart disease. Therefore, it is utmost important for us to start caring for our heart by eating healthier, exercise and quit smoking. 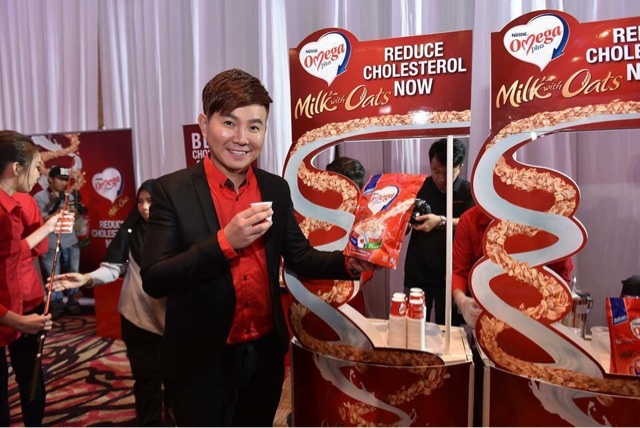 For diet, we could start with oats! Oats are beneficial to lower the risk of heart disease, but preparing it could be a hassle and not everyone find it palatable. Hey, for all the Transformers fans in the house, this one's for you! 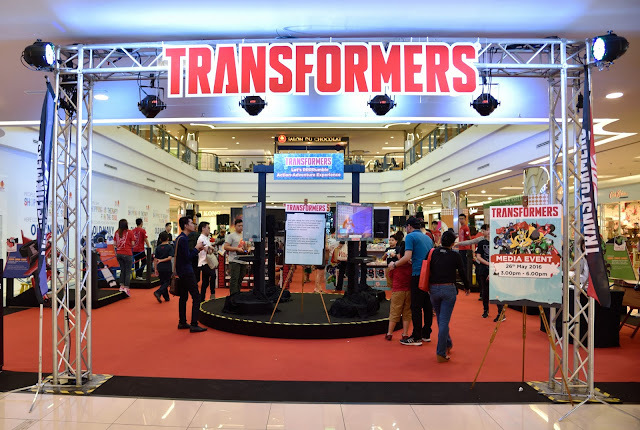 Head over to 1 Utama Shopping Centre now as renowned branded play company, Hasbro (Malaysia) brings TRANSFORMERS brand extravaganza for the 11-day event, with different exhibits and activities that promise to bring smiles from the neophytes to even the most avid TRANSFORMERS collectors and hobbyists. Hey! 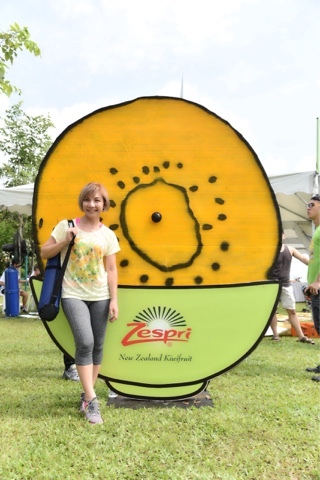 In the blink of an eye, we will be celebrating Dragon Boat Festival soon. 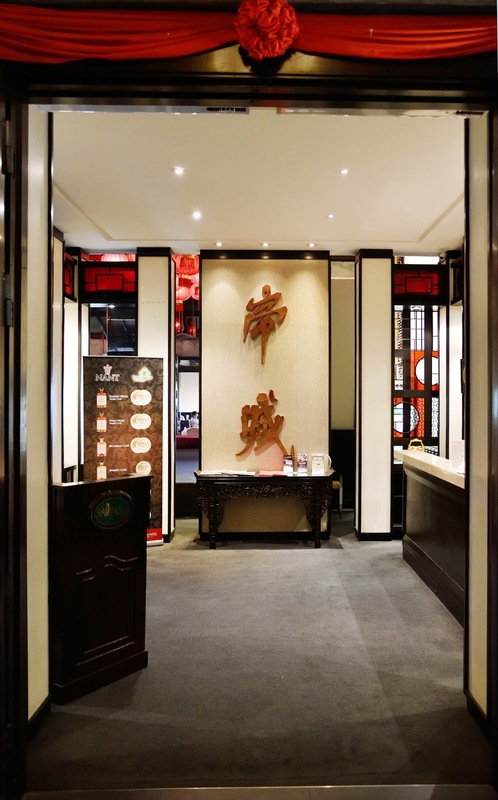 InterContinental® Kuala Lumpur hotel’s award winning signature Chinese restaurant Tao Chinese Cuisine commemorates the festive, with five exclusive selections, available from 27 May to 9 June 2016, priced at RM 14.00 nett for mini rice dumpling duo, and RM 22.00 nett onwards for traditional rice dumpling selections. Hello! During my recent trip to Melaka, I was brought to Seri Nyonya, an authentic Peranakan restaurant located on Level 3 of Hotel Equatorial, Melaka. 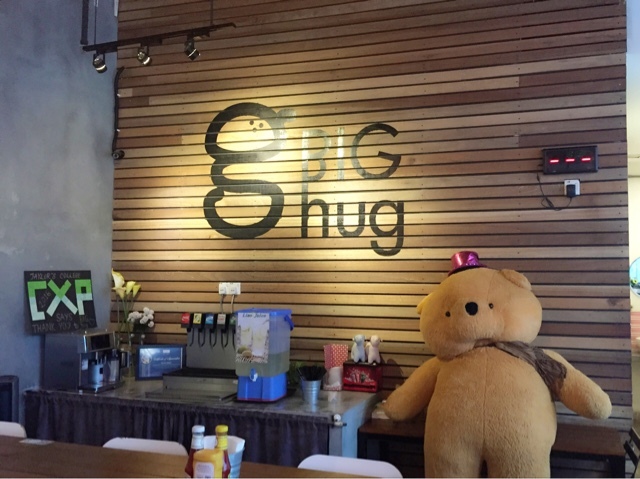 The restaurant is well known for its authentic home cooked meals such as 'Ayam Pongteh', 'Hee Peow Soup' and 'Nyonya Chap Chye', a dining experience one shouldn't miss out. Here are some of the dishes we ordered, shared among the 6 of us. 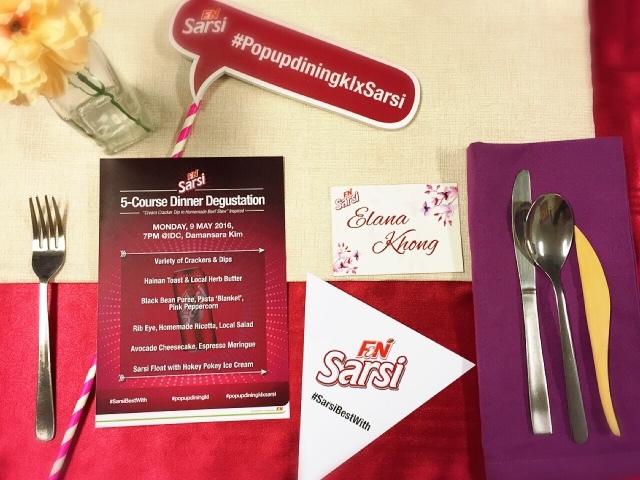 A couple of weeks ago, I was invited to a private dining session with Pop Up Dining KL and F&N Sarsi. The 5 course dining session was to reward the winner of the Instagram contest #SarsiBestWith along with 4 of her companions. Pop Up Dining is the brainchild of Miki, Amanda and Daniel, young and talented team that amazed us with their creative dishes. Hello! Do you know iron deficiency anaemia is a condition that many are unaware they are suffering from and also is one of the most prevalent nutritional deficiency disorders in the world? If left untreated, it may become severe enough to affect our daily life. By raising awareness, Merck hopes Malaysians will benefit from a better understanding of iron deficiency, and take the necessary steps to begin living extraordinary lives. 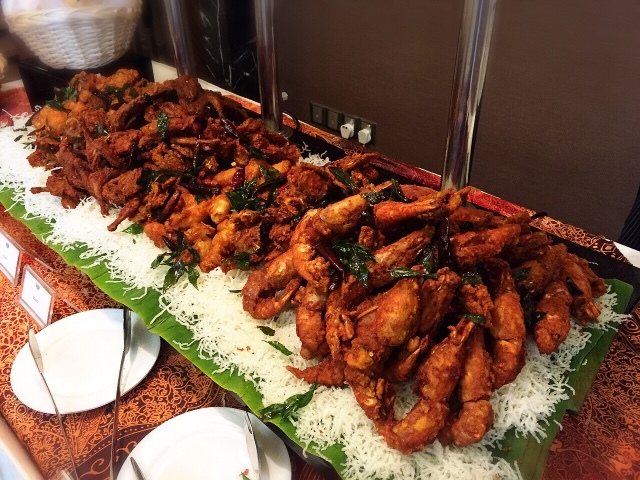 Usher in the holy month of Ramadhan at JW Marriott Kuala Lumpur with a wide variety of traditional Malaysian delicacies for guests to experience. 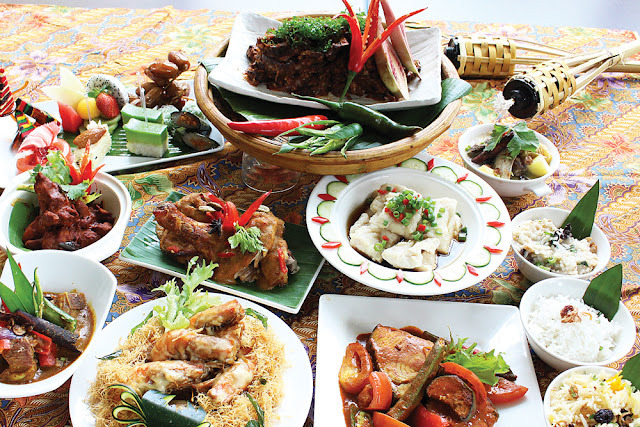 The Ramadhan Buffet themed heritage will feature more than 138 of the most popular and classic Malay dishes customarily served during Ramadhan. 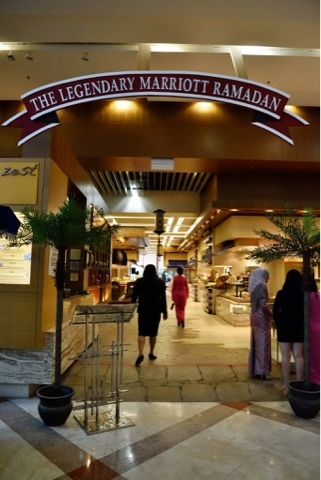 The Poolside (Level 6) and the Starhill Conference Center (Level 4) at JW Marriott Kuala Lumpur will be transformed into a Ramadhan bazaar, replicating a kampung ambience. Aside from the spectacular set up and displays to reminisce the nostalgia of breaking fast in a traditional village setting, the main highlight of the evening is the scrumptious menu. For the holy month of June, The Majestic Hotel Kuala Lumpur present to you the Festive Variety and Festive Banquet menu for families and friends to reunite and rekindle through solidarity. I was invited to sample some of the dishes and truly amazed with the tasty selections of local delights such as rendang itik, kambing kuzi, udang galah sambal and kuih-muih. 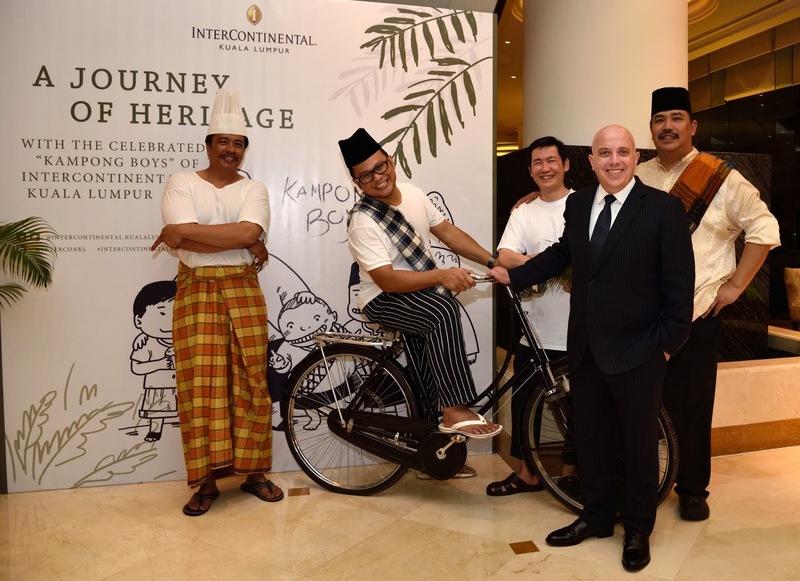 Illuminate the spirit of Ramadan, tantalising your taste buds with the heritage reminiscent dishes as InterContinental Kuala Lumpur hotel's all-day dining restaurant Serene Brasserie presents "A Journey of Heritage : With the Celebrated "Kampong Boys". Experience authentic heritage flavours signifying the personalised journey of the celebrated "kampong boys" with their favourite kampong dish. 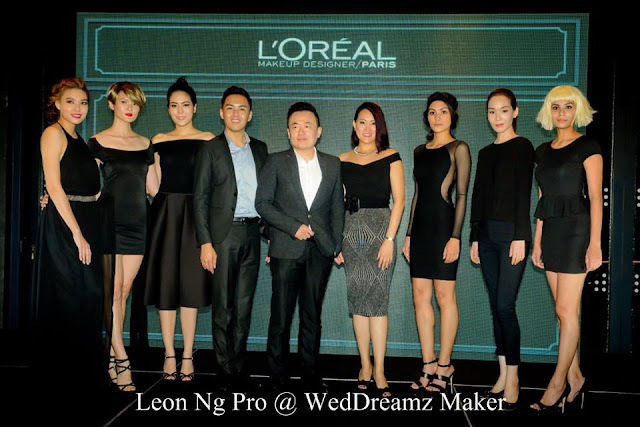 Ladies.... Don't just wear makeup, design your look with the new & innovative L'Oreal Paris Makeup Designer. Recently, French beauty brand L'Oreal Paris has revealed a brand new identity for its makeup products known as L'oreal Paris Makeup Designer featuring innovative formulas to never-before-seen textures, reflecting all the exquisite details and the spirit of Parisian elegance. Hey, foodie! 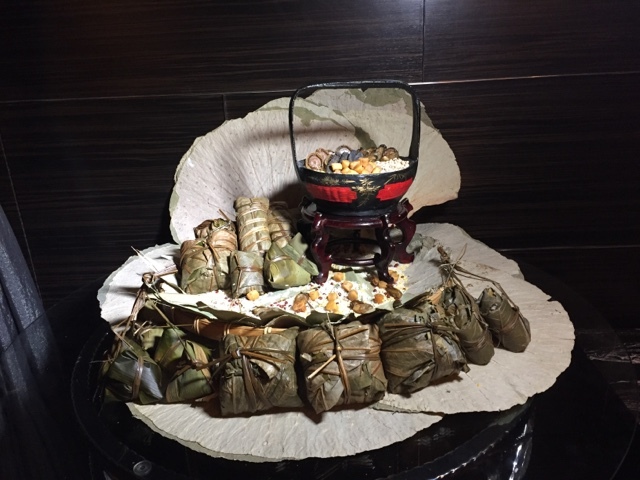 A couples of weeks ago, I was at Ti Chen, Saujana Hotels & Resorts to sample the new creation of sumptuous dim sum by Dim Sum Maestro Chef Yau Kim Yew. Chef Yau has more than 16 years of experience in dim sum making and well known for his creative and tasty dim sum, hence instead of the classic dim sum, we are introduced to an assortment of lamb and beef dim sum, bah kut teh bao and many more. Hey..... Yet another fries and burger post because it's U.S. Fries & Burger Fiesta month after all. :P Carl's Jr., an American-based fast food restaurant is one of the participating outlets, hence I visited Sunway Pyramid outlet for my cravings fix. Sawadeekap! 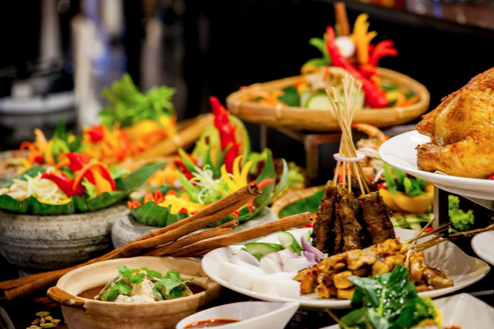 Thailand is well known for the land of smiles and tranquil temples, it is also where spicy soups, green curries and mango salads took a twist of fate and rose to popularity. From 16th - 29th May 2016, Zest Lifestyle Restaurant, Marriott Putrajaya will be serving authentic Thai cuisines featuring guest chef from Palm Garden Hotel Chef Seeri alongside house chef Chef Teena. 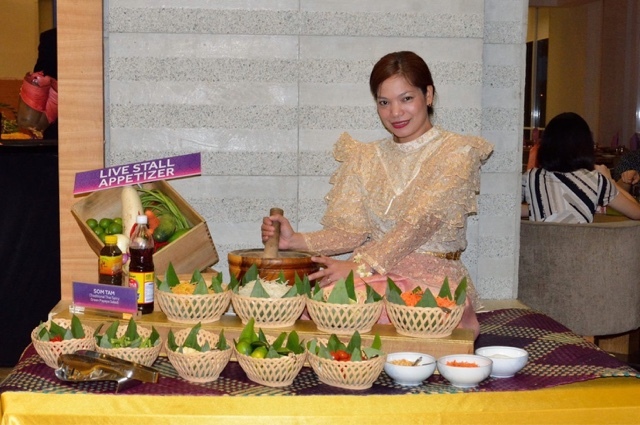 For two weeks, diners could indulge in "Amazing Thailand" authentic Thai cuisines while shopping at the mini bazaar displaying Thai handicrafts making your little Thai adventure a perfection. The cultural exhibition of collectibles will feature glass jewelry (by Thai Vetro Co. Ltd), home textile (PSY Holdings Sdn Bhd), zikul scarf (S2K Innovate Co. Ltd), ceramic handicraft (Middleceramic), silver jewelry (Stories of Silver & Silk), lifestyle products (Seth Intertrade), fabric bag (Bangkok CTV Intertrade Co. Ltd), bronze & brass sculptures for interior, exterior decorations and premium gifts (V.S.Crafts Co. Ltd) and egg handicraft (Atchara Design). This Ramadan, head over to Zest Lifestyle Restaurant in Marriott, Putrajaya for a whole new unique experience down the memory lane. Tantalize your taste buds with the lavish spread of traditional and speciality buffet dishes with interactive live cooking stations. Some of the delectable offerings are the famous Kawah Kraze, Rojak Selection, Bold Barbecue Favourites, Mamak Corner, Nasi Kandar, Satay Specialities, Middle Eastern Madness, Chinese Delights, Tradisi Malay Corner, Panggang Memanggang Station, Absolutely Italian Station, Gila Goreng-Goreng, Hentian Muara Ikan Bakar, Japanese Goodies, All Rice Station, Ice Mountain and Kurma Cravers. Hi all! Yes..... Another burger post. 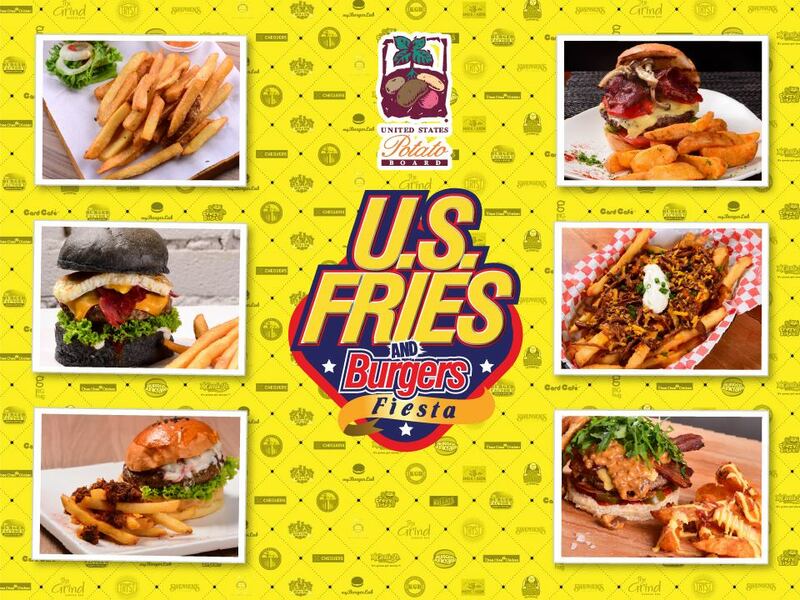 :p In conjunction with U.S Fries & Burger Fiesta, for a limited time 19 cafes in the Klang Valley will be introducing their creative creation of U.S fries with burger. Hence, it's a great excuse for me to be a little looser with my diet. Hehehe..... 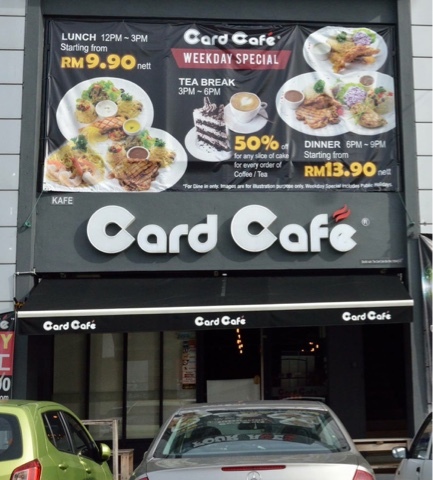 So being a Klangnite, I decided to check out The Card Cafe, the only outlet listed in Klang. Hi all! Good news for Mentos lovers? 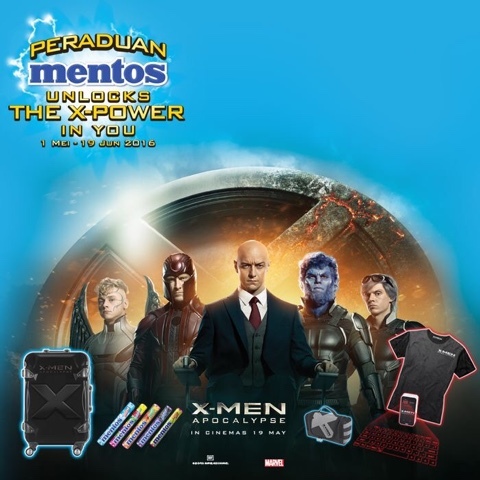 From 1st May until 19th June 2016, in collaboration with Twentieth Century Fox and Marvel, MENTOS is running a contest for the up-coming X-Men Apocalypse movie, offering exclusive X-Men prizes and cash prizes. Malaysian customers only need to make a purchase of RM5 and above in a single receipt to participate in the Mentos Unlocks the X-Power in You contest by answering the given questions correctly and sending the answers alongside your details via Whatsapp or MMS, or through the contest website. Happy Monday! How was your weekend? I always love spending my weekend bonding with family and friends over meals. 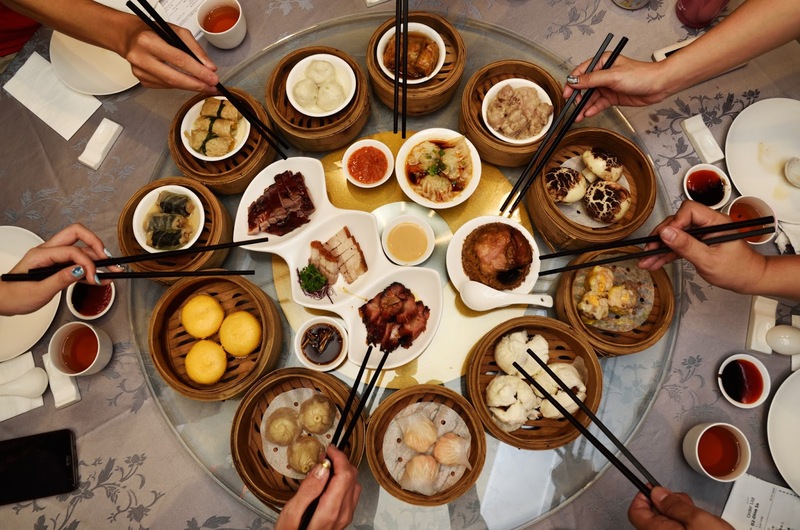 So I was craving for dim sum the other day and my friend suggested we should go for an all you can eat dim sum at Restaurant Sky Palace and eat to our heart's content. Ohh... I have been to Sky Palace before and the foods were definitely top notch. Hey all! 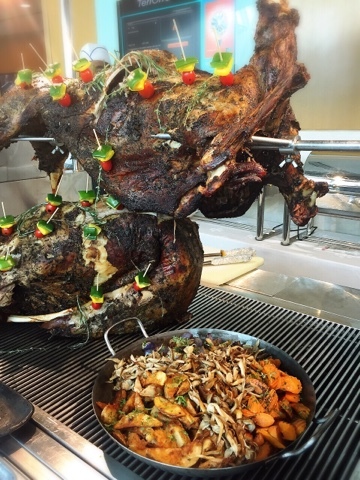 It's "Magical Ramadhan Nights" at Pullman Putrajaya Lakeside. 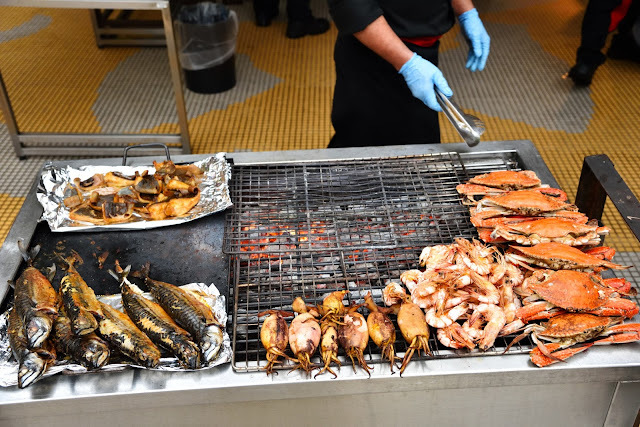 Held in the open air venue of the 5 star hotel, diners could indulge in over 100 Malaysian and international dishes, as well as 7 forms of live entertainment each and every evening of Ramadan. Scrumptious foods, live entertainment, attentive service and a beautiful light show, it is the perfect place to celebrate your Ramadhan. Hi all! 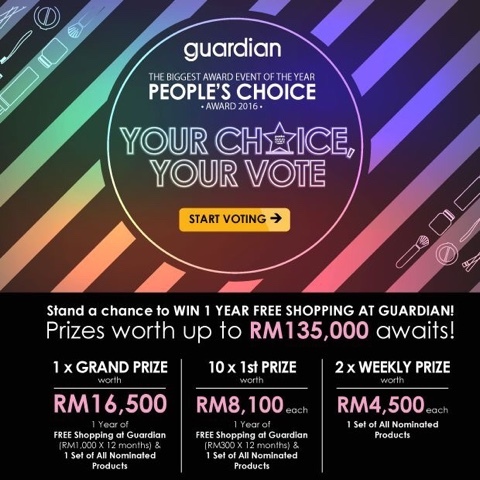 Guardian's People Choice Award 2016 returns once again for its 15th installment with even more in store for consumers. This year, there are 58 participating categories and close to 250 products this year ranging from hair care, face care, personal care, cosmetics, beauty, hygiene, health care, supplements & medication, mother and child products and confectionery. This coming Ramadan experience a “Home Away From Home” at the Kuala Lumpur Convention Centre’s (the Centre) popular ‘Kampung in the City’ private and public Ramadan events. Focusing on convenience, comfort and cuisine, the exclusive buka puasa menu options have been customised by the Centre’s award-winning 51-strong culinary team to offer diners the chance to enjoy traditional ‘Kampung Classics’ and contemporary buka puasa fare served right in the heart of the Kuala Lumpur City Centre (KLCC). Pencarian Wanita Melayu returns! 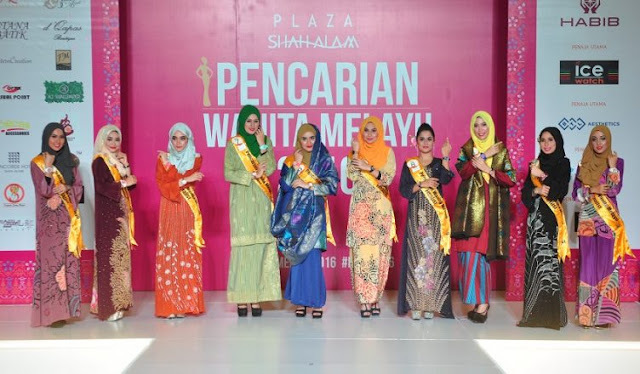 The Plaza Shah Alam’s annual beauty pageant, Pencarian Wanita Melayu (PWM) the finals was held last Sunday at Plaza Shah Alam. This significant event which is in its third successive year, is a competition amongst Malay women who are out to prove that they are the ultimate Malay woman living and succeeding as a professional in the modern era while still holding on to her traditions and cultural roots. The contestants of Pencarian Wanita Melayu came from different states in Malaysia and from various professions and interesting backgrounds, some are doctors, medical students, aeronautical engineering students and even a mother of 4 children. Hola! How time flies. One of my early Ramadhan food review invitation came from GTower. The Ramadan buffet spread available from 8th June till 3rd July 2016 features an assortment of buka puasa menus including GTower all-time favourite such as Sup Tulang Rawan, Kambing Bakar Berempah and Mee Rebus Istimewa. Hey, folks! Are you ready to move it, move it? Don't let age slow you down, instead let's keep moving to slow down age. 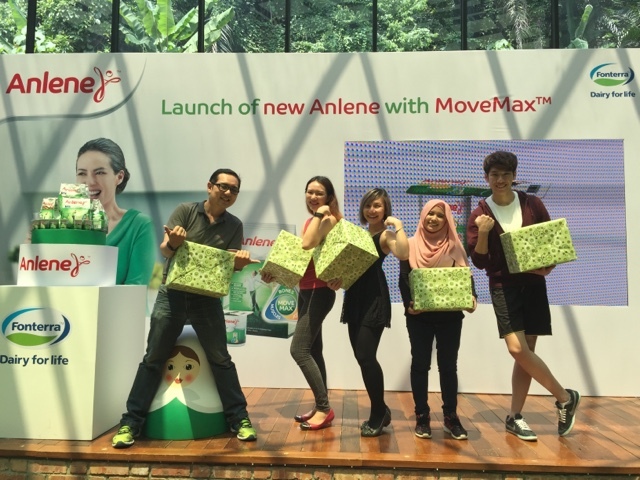 In conjunction with the introduction of new Anlene with MoveMax™, dairy giant Fonterra Brands Malaysia has launched a nation-wide campaign to get Malaysians to move as young as they feel inside. 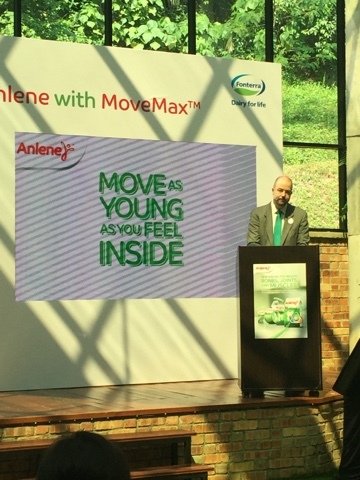 The new Anlene formulation with MoveMax™ contains important nutrients such as Calcium, Collagen, Protein, as well as other nutrients like magnesium, zinc and Vitamins B, C, D & E in a nutrient bundle to help care for your bones, joints and muscles. Mr Jose Miguel Porraz Lando, Managing Director of Fonterra Brands Malaysia and Singapore said that Fonterra has always made it a priority to listen closely to consumers in order to meet their specific nutritional needs through the goodness of dairy. Sheila Majid, Malaysia’s top darling diva was the spokesperson at the launch shared how Anlene play an important part of her life to fulfills her nutritional needs for an active lifestyle. 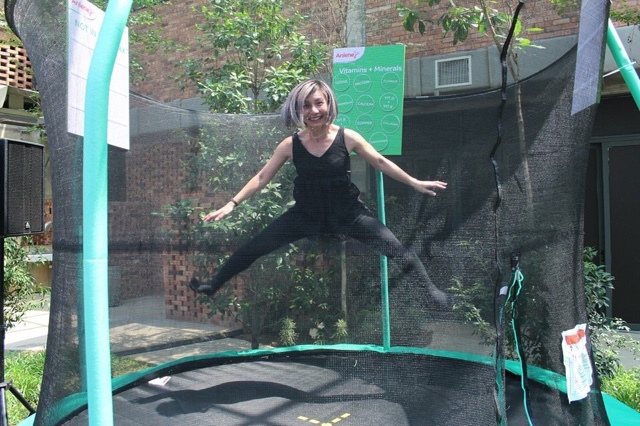 We had a taste of youthful movement with the fun-filled activities such as jumping on a trampoline, arcade dance moves, a tyre swing in a tree house and schoolyard games such as hopscotch. The top 5 high scorer of the challenges also walk away with prizes. Yay.... Well done, Isaac, Charmaine, Fatin and Tommy. 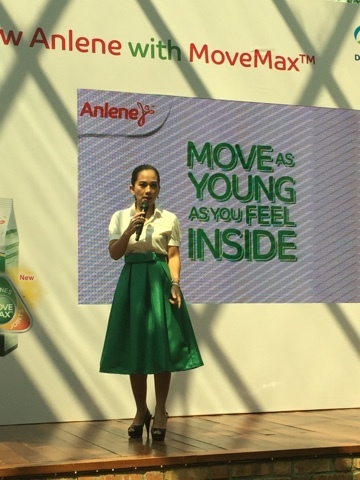 In conjunction of Mother's Day, Anlene also presented token of appreciation to all the mothers. 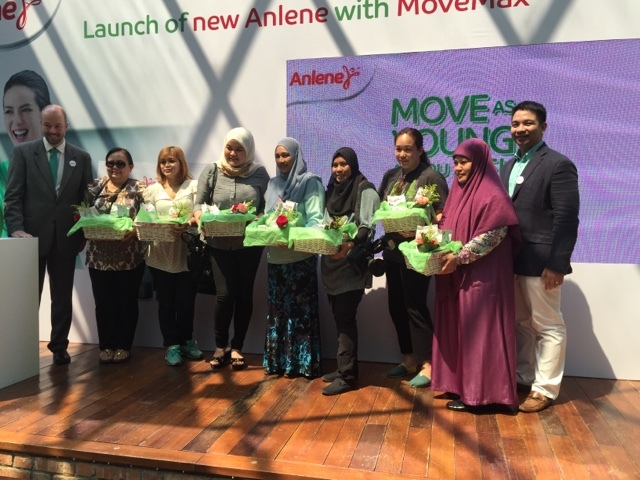 The new Anlene MoveMax™ is available in all leading supermarkets nationwide and is available in the powdered form as well as in the yogurt form. The powdered form comes in two flavours – plain and chocolate and is available in 1kg, 600g, and 175gpacks. 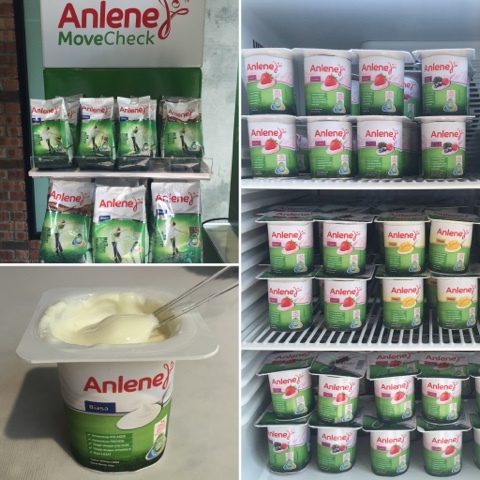 Anlene Movemax™ Yogurt is available in 4 delicious variants: plain, mango, strawberry, and mixed berries. The rich and creamy yogurt was seriously delicious. 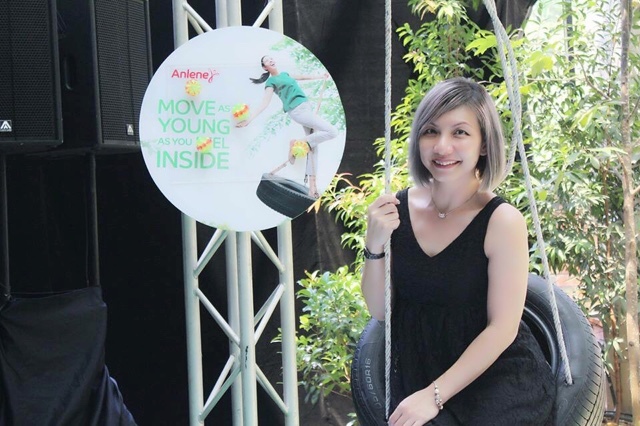 Anlene will create touch points with consumers to fully embrace moving as young as they feel inside through roadshows, curated quarterly experiential programmes, move checks and public apperances by Sheila Majid. Hola! 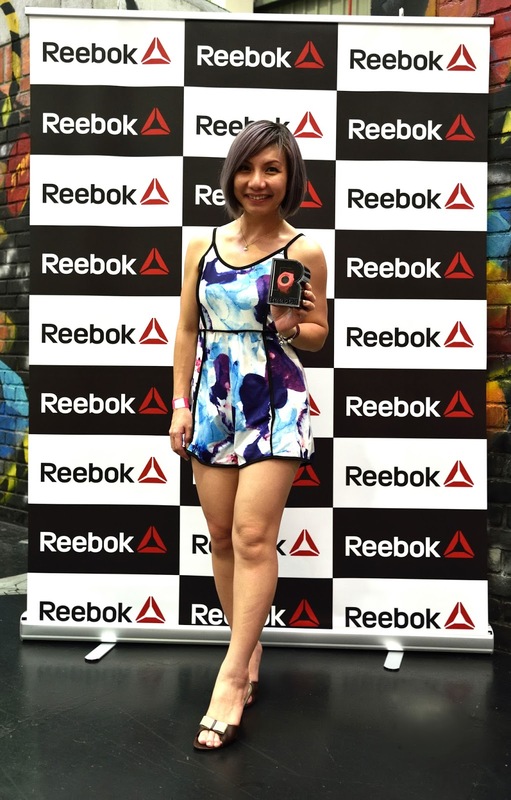 A couple of weeks ago, I was invited to Jump Street Media Appreciation Day. 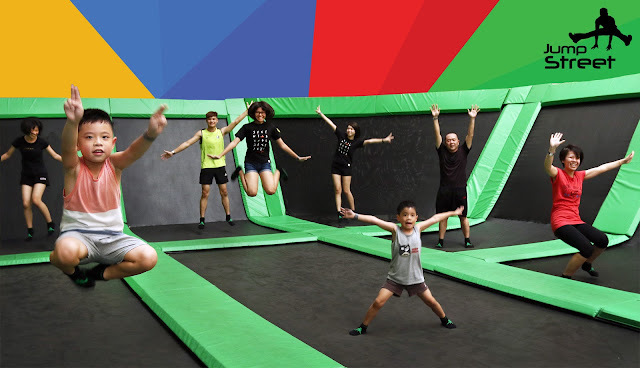 The trampoline parks located in a warehouse behind Jaya One is an exciting urban playground for adults and children alike with hundreds of interconnected trampolines from the floor right up the walls and multiple jumping attractions at every venue. Do you know you would burn the same amount of calories in just ten minutes of trampolining as you would jogging for half-an-hour? Trampoline also reduced the impact on your limbs by 80 per cent compares to pounding up and down on concrete. The park is divided into several sections with a main court featuring over 9,000 square feet of interconnected trampolines, two dodge ball courts, a foam pit, basketball and kids' courts, a high performance area with six Olympic-spec trampolines and vertical running walls of different heights. Get ready for an exciting line-up for its adrenaline junkies with fun-filled sport activities such as Inter Trampoline Competition in September, Dodge Ball Tournament in October and Urban Sport Festival in November. 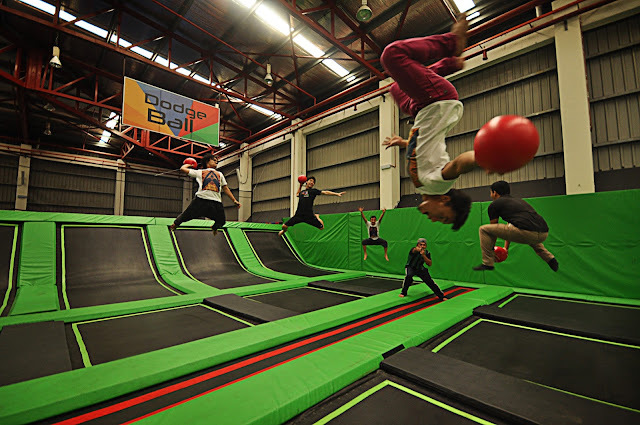 Are you ready to enjoy the thrill of flight at Malaysia’s BIGGEST indoor trampoline parks? 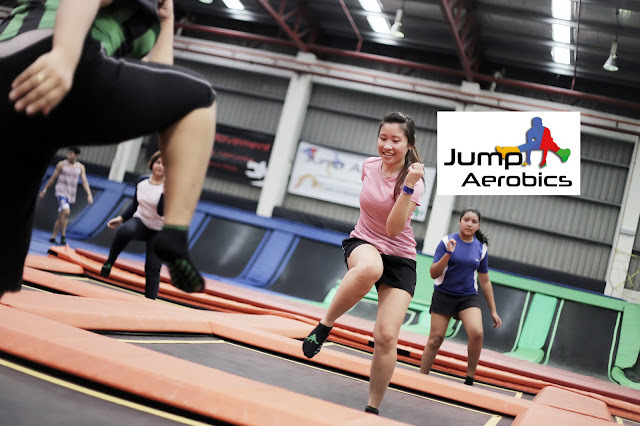 Whether you are new to trampolines or an expert aerial athlete, Jump Street has a fun activity for everyone. 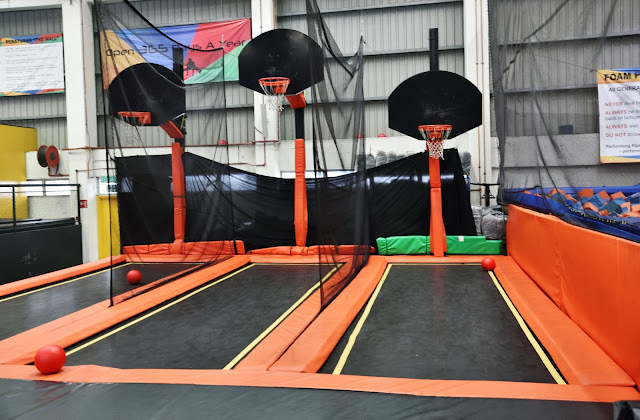 Jump around in the open court, play trampoline dodge ball, hone your aerial skills in the high performance area or enjoy a meal and a coffee at Jump Café. Even the little ones could have a some fun at the jumping area open for children under 110 cm. Don't miss the Saturday Jump Fever parties every first Saturday of the month that features a special theme at special price. 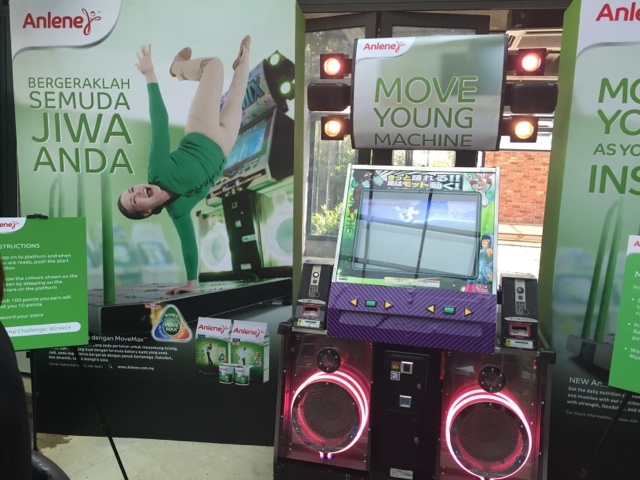 Free jumping, jump aerobics and jump academy are also offered. Yay..... It was so much fun taking on gravity defying challenges. Thank you Marco Worldwide Sdn Bhd and Jump Street for the watch. Jump Street will celebrating it's 2nd anniversary on Saturday 28th of May with circus performers and trampoline artists to create the perfect blend of acrobatics. Don't miss out the fun! Jump Street also caters to group events, including birthday parties, corporate team buildings, family days and fundraisers. It is great fun for jumpers of all ages and all skill levels. Fast food lover rejoice! From May 1 to 31, 2016, the U.S. Potato Board has kicked off its 1st “U.S. 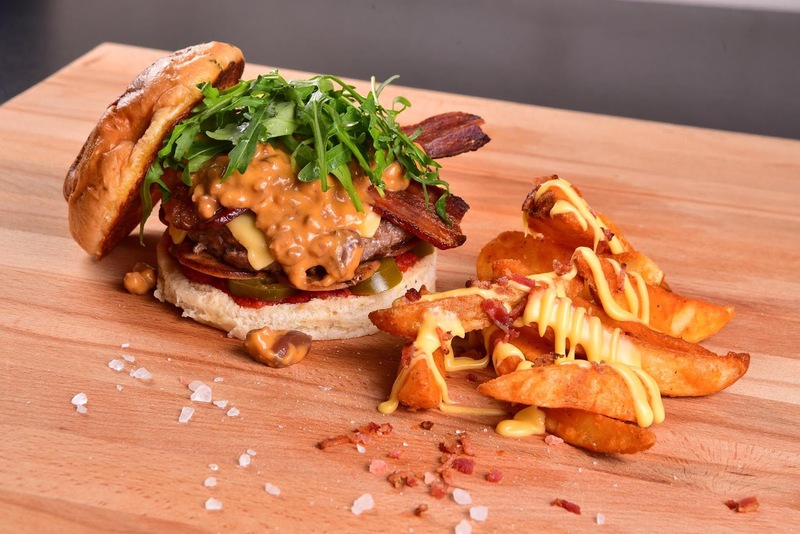 Fries & Burger Fiesta” at 19 popular burger joints & cafés in the Klang Valley. Treat yourself to a unique repertoire/creation of U.S fries with burgers never seen before. 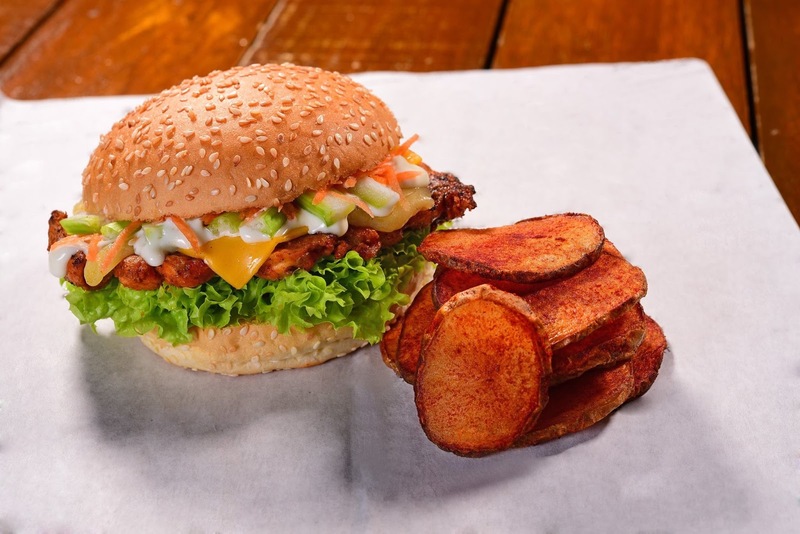 Burgers and fries are popular quick meals among the hectic lifestyle of Malaysians today. A true-blue burger-eater would tell you that the best embellishment to the whole burger-eating experience actually lies in the fries. Do you know Malaysia is the number one market for U.S. fries in the South-east Asia market and only number 2 to Japan in Asia? U.S is known to produces the best fries because of the ideal growing temperature, rich soil, state-of-the-art processing facilities and generations of expertise. U.S. potatoes destined for processing must contain high “solids” and low sugar content, which are important characteristics for achieving a finished product with desirable appearance, taste and texture. We can be assured of high-quality plentiful year-round supply from U.S potato growers.The U.S. industry standards are demanding and must meet all Food and Drug Administration and USDA specifications, enabling U.S. processors to create top-quality and safe frozen potato products. Malaysian consumers will have the opportunity to savour the “best burgers served with the best fries” via the U.S. Fries & Burger Fiesta. One of the highlights of this Fiesta will be providing an opportunity for the public to acquaint themselves to the different U.S. fry varieties. For the first time ever, many of the outlets are offering new cuts of U.S. fries with better flavour, taste, texture and distinctly enhance burger servings. The U.S. Potato Board hopes “U.S. Fries & Burger Fiesta” will provide an eye-opening opportunity to the outlets to introduce to the public more than their usual burger and fries fanfare. Hence, it's time for you to go dine at the participating restaurants to sample the different U.S. fries and burger combos. Don't forget to join the #USFries&BurgerFiesta Instagram contest where 3 weekly winners with the best pictures enjoying the promotion US fries and burgers will win RM150 cash prizes weekly. 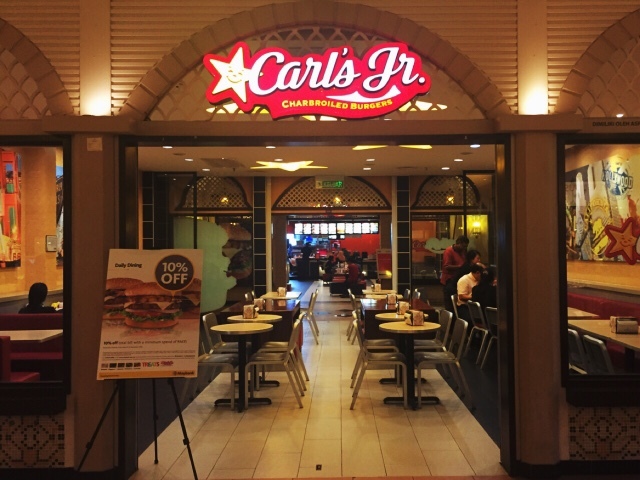 Head over to the following outlets below to enjoy U.S fries and burgers like never before! For more information on the U.S. Burger & Fries Fiesta, please call Kent Low or Eddie Saw at (03) 8070-7216.